You can hide any group, gallery, or collection from appearing to visitors. This Hide from Visitors feature will remove the thumbnail link from appearing within the group that contains the hidden item. The group, gallery, or collection that is hidden will still be accessible using its direct link. In the Organizer, select the group that contains the group, gallery, or collection that you would like to hide. Move your mouse over the group, gallery, or collection thumbnail in the main area and click on the down-pointing arrow that appears. From the Group, Gallery, or Collection Menu select Hide from Visitors. 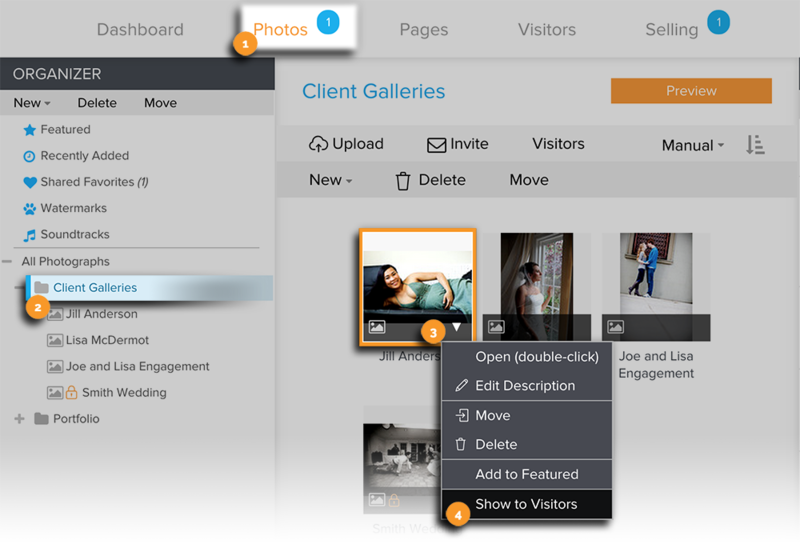 From the Group, Gallery, or Collection Menu select Show to Visitors. 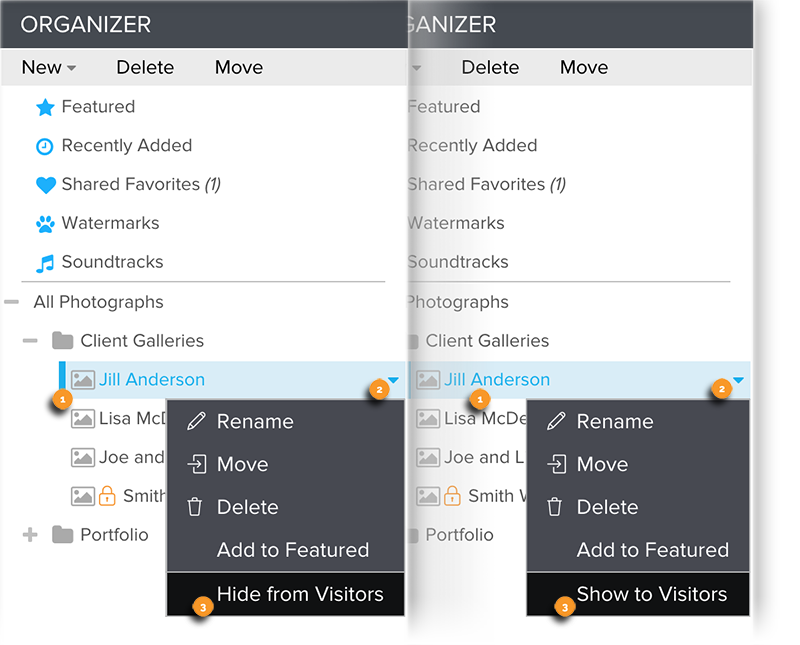 You can quickly hide or show groups, galleries, or collections from visitors using the Organizer. Under the Organizer, mouse over the group, gallery, or collection you would like to hide or show to visitors. Click the downward pointing arrow to the right of the gallery name. From the drop-down menu you may Hide or Show the group, gallery, or collection to visitors.